The dosimetry of sources used in interstitial brachytherapy has been the subject of considerable research in recent years. A number of articles have appeared (Appendix C) introducing revised calibration standards, source strength specification quantities, and dose calculation formalisms. Some of these articles advocate revision of basic dosimetry data, including dose rate constants, radial dose functions, and anisotropy functions for 192Ir, 125I, and 103Pd sources. In particular, the Interstitial Collaborative Working Group (ICWG), which was sponsored by the National Cancer Institute, has completed its final report.’ With all these reports appearing in the literature, the medical physics community is faced with a confusing situation regarding the selection of dosimetry data. Therefore, the Radiation Therapy Committee of the American Association of Physicists in Medicine (AAPM) in 1988 formed Task Group No. 43 to review the recent publications on the dosimetry of interstitial brachytherapy sources and recommend a dosimetry protocol which would include a formalism for dose calculations and a data set for the values of dosimetry parameters. 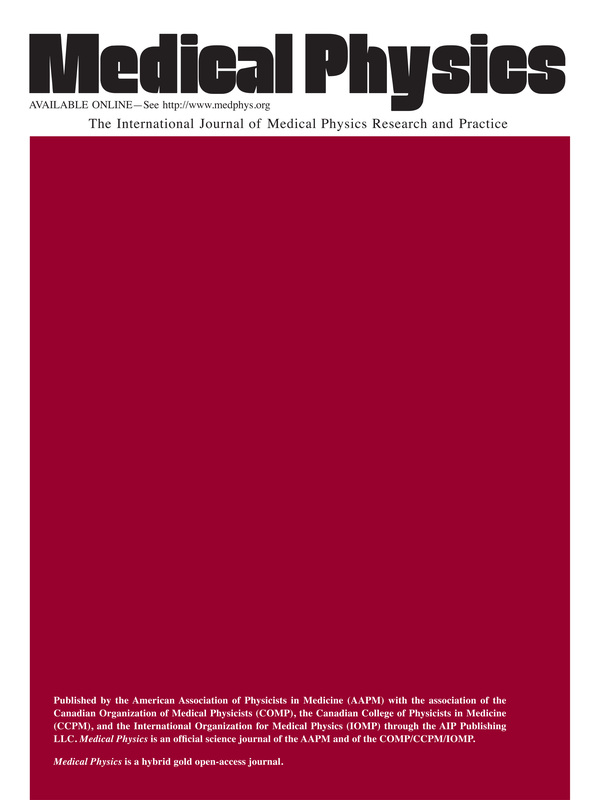 In this final report of the task group, which has been approved by the AAPM Radiation Therapy Committee and the AAPM Science Council, we present a formalism that clearly defines the necessary physical quantities, some of which have been introduced recently, for example, air kerma strength, radial dose function, anisotropy function, dose rate constant, etc. All the equations required for the calculation of dose from a single source using these quantities are also presented. A detailed review of previous studies on the dosimetry of 125I, 192Ir, and 103Pd is presented as an appendix to this report (Appendix C). Relationship of the recommended dose calculation formalism to source strength quantities other than air kerma strength is explained in Appendix A. Also, the relationships between the recommended formalism and other formalisms are briefly described in Appendix B. A glossary of definitions and units is presented in Appendix D. Many readers who may not be experts in brachytherapy physics would find that reading the appendices first makes it easier to follow the recommendations presented in the main body of the text.